Do I Need to Hire A Personal Injury Lawyer? - Wittenstein & Wittenstein, ESQS., P.C. DO I NEED TO HIRE A PERSONAL INJURY LAWYER IN NY? Knowing that most cases are settled with insurance companies without litigation, people wonder whether they really need to hire a personal injury lawyer. In some cases, it might not be necessary. For example, if you are hit in the rear by another vehicle, and have a police report that indicates that the accident was completely the other driver’s fault, you could probably settle the claim for your property damage on your own. All you would need to do is send an estimate for the damages to the driver’s insurance company and they will likely pay your claim without much hassle. They might want to inspect your car, but that’s no big deal either. The advantage of doing this yourself is that you get to keep all the money and don’t have to share it with a lawyer. Sometimes it’s trickier, even with a simple car accident. You saw the other driver blazing through a solid red light while texting, but when the police arrive, he tells them that YOU went through the light. There are no witnesses and the police did not observe the accident, so they have no choice but to say that both drivers accuse the other of going through the light. Now, if you send the estimate for your car to the insurance company with the police report, they will tell you that they will only pay you for 50% of the damage, or, even worse, that they are sticking by “their insured’s” version and will not offer to pay you anything. Hopefully, you have full-coverage on your car in case this happens! In the scenarios above there are “no injuries,” but already it’s complicated. If you are injured, not only will the insurance company not be willing to pay the full value based on the conflicting stories, but they will also discount the value of your injuries. You need an attorney to prove that the accident was the other driver’s fault. If there is a dispute over liability, this is when you should hire a personal injury attorney. It might be necessary to bring in accident reconstruction experts as well as other methods of proving fault – not something easily done on your own. Let’s say now that the police report gives all the fault to the other driver, and the insurance company pays you in full for the damage to your car, but you are injured. When you finish with your treatment, you send your medical reports to the insurance company and they assign a claims representative to your case. You send the medical reports to the claims representative, who reviews them and tells you that they are not paying you anything because you don’t have a “serious injury.” You need an attorney. What may seem simple in theory is much more complicated in practice. 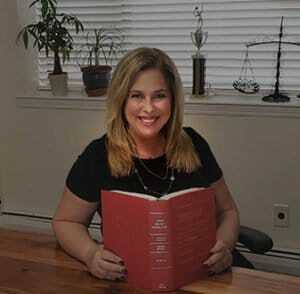 They are filing deadlines, and statutory limitations, as well as a host of regulations that personal injury lawyers know how to handle, so the value added by a good attorney is well worth the fee, especially if you have severe injuries or have lost time from work. If your injuries are severe and you have lost time from work, this is something to take very seriously. It might not be possible at the onset to know how long it will take to heal or when you will be able to return to work. In such cases, it is important to ensure that your claim is being handled properly from the very beginning. An experienced personal injury attorney will be able to negotiate with the insurance companies to get you the services you need for a complete recovery and to make sure that you get the maximum compensation down the line. This is the kind of case that it is virtually impossible for an indiviaul to handle on their own. The cost of prosecuting a malpractice case is enormous as doctors must be hired to testify, and spending that kind of money without knowing what you are doing (and risking the case getting dismissed,) makes no sense at all. Malpractice insurance carriers never settle cases in the early stages, so it’s not like you can just pick up a phone. Litigation will be necessary. Some insurance companies are easier to settle with than others. There are insurance companies that will not settle claims at all unless there is some litigation done. Personal injury attorneys know the insurance companies and what has to be done with each one to maximize a claim. A good lawyer will make a jury case to a jury if necessary. It is difficult to make a decision to settle your case if you don’t understand it’s value. Personal injury attorneys have seen similar sets of facts before and have a good sense of what a case is worth. You may think you case is worth $100,000, but it’s really only worth $50,000. You may have a $200,000 and settle for only $10,000. You need a legal expert to guide you in these decisions. If you have any questions please feel free to request a FREE CONSULTATION with WITTENSTEIN & WITTENSTEIN. Call 718-261-8114 to make an appointment.